BAR F1 Honda Ladies T-Shirt. 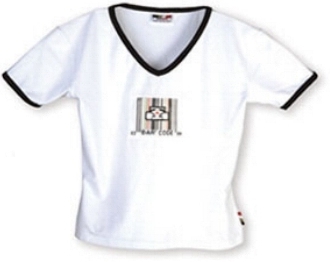 This stylishly designed ladies top is constructed using a mix of cotton and Elastene. The mixture of fibers offers comfort and ease of movement. With contrast binding and subtle team branding this item is a must for the Ladies! This is of course officially licensed BAR Merchandise.